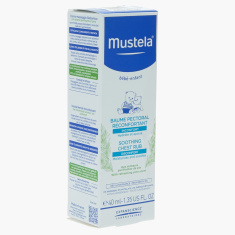 Mustela Soothing Chest Rub | Multicolour | Moisturizes to soothe sensation of discomfort. Save SAR 0 (0%) Earn 18 Shukrans What is Shukran? Shukran is the Landmark Group’s award-winning loyalty programme in the Middle East, which allows you to earn Shukrans when you shop any of our brands. If your baby is not sleepy due to some sensation or discomfort, this chest rub will be helpful for him. 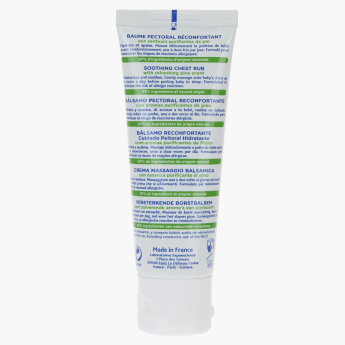 Just apply this rub to his chest and it moisturizes to soothe sensation of discomfort. Feature 1 : Moisturizes to soothe sensation of discomfort. Feature 3 : Clinically proven. Hypoallergenic. Feature 2 : 0% Paraben. 0%Phthalate.